The seventh edition of Humana Day is dedicated to the importance of promoting quality education to achieve progress in the most disadvantaged communities in the southern hemisphere. Education is a key element in the fight against poverty and the development of communities and people. Thus Sustainable Development Goal number 4 is devoted to education and its main objective is "to ensure and promote lifelong learning opportunities for all." 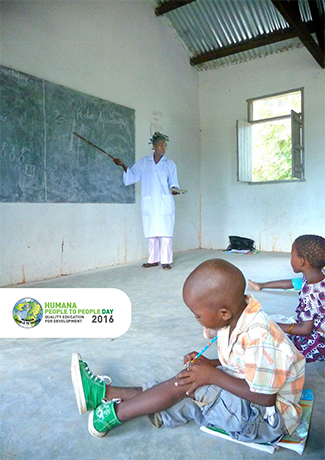 Therefore, the promotion of training, education, training and progress of the communities involved are the fundamental objective of the cooperation programs of Humana People to People. The Humana Day is an international annual event in which more than a dozen organizations of the Federation Humana People to People in Europe are involved. The main objective of this awareness day is to publicize the work carried out in the different countries where the Federation is present through the various cooperation programs implemented. Through the Foundation awards gratefully acknowledges the support of the citizens, municipalities and companies working in the field of reuse and recycling of used clothing and development cooperation. 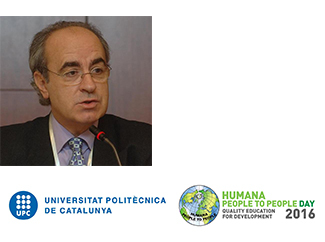 In the case of Barcelona event, we will have a speaker with Enric Carrera, Doctor in Textile Engineering from the Polytechnic University of Catalonia (UPC), Master in Textile, Paper and Graphic, Master in Environmental Education and Master in Environmental Audits. Since 1986 he is professor at the Department of Textile and Paper Engineering of the UPC. Since 1996 he combines his teaching and research activities in the field of Textile Engineering with Sustainability through the UNESCO Chair of Sustainability at UPC. It is also expected participation Charge d'Affaires of the Embassy of the Democratic Republic of Congo in Spain, Oscar Ma Matondo Muanda. Matondo talk about the reality of Humana cooperation projects in his country and the development of the most disadvantaged communities. You have more information about the Humana Day in the monographic edition of the Newsletter we have edited and you can find it in our secondhand stores.